The City of Marlborough is filled with outdoor adventure for the whole family. From conservation areas and parks, to walking and biking trails and beaches, our scenic city is your one-stop destination for natural recreation. Marlborough’s World War II Memorial Beach spans 13 acres and is located on the east side of the city, off of Hosmer Street. 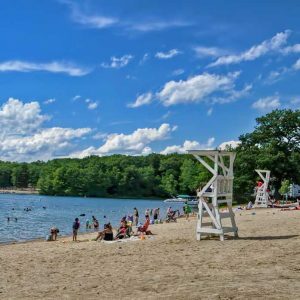 The beach, which is open for swimming daily from June to September, is supervised by lifeguards on duty and features both sandy and grassy areas with large trees for shade. Changing rooms, restrooms, picnic benches, BBQ areas and free parking are available. Learn more about World War II Memorial Beach. Take your family and friends on a scenic bike ride through the City! Grab a bike and go at one of the 6 Zagster bike stations located throughout Marlborough. Not sure where to ride? No problem! Try our Self-Guided Bike Tour that will steer you around the city to 10 Marlborough pit stops that include places to eat, historic and scenic sites, entertainment options and more! 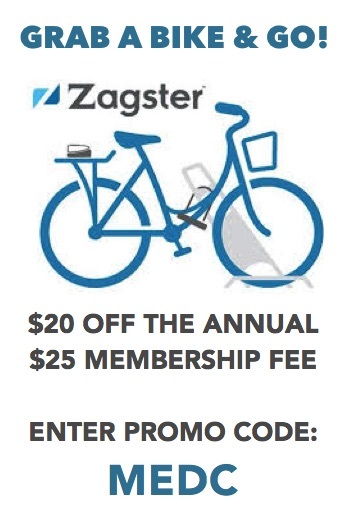 Learn more about Zagster in Marlborough. The scenic Assabet River Rail Trail is a 5.6-mile paved bike path that weaves through the City of Marlborough and the Town of Hudson. This 12-foot-wide nature corridor crosses the Assabet River five times, including over a refurbished historical wrought-iron railroad bridge. It is perfect for cycling, walking, and cross-country skiing and is fully wheelchair accessible. Learn more about Assabet River Rail Trail & Bike Path. Learn more about The Grove Conservation Land. Ward Park hosts an array of outdoor activities from football and lacrosse fields, basketball and tennis courts, street hockey, a half pipe skating rink and a waddling pool. The Desert Natural Area / Memorial Forest Reservation in East Marlborough, off Concord Road, is named for its well-drained sandy soil and historic sand pits. This 615-acre parcel of conservation land features a pine and scrub forest, and wildlife, such as birds and beavers. Hunting is available in designated areas by permit. Learn more about Memorial Forest Reservation – The Desert. 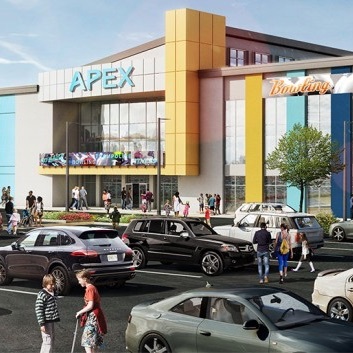 The Apex Center of New England is Marlborough’s brand-new 475,000-square-foot custom-designed hospitality and entertainment space. Enjoy fun indoor activities, including kart racing, laser tag, bowling, ropes course, trampoline park, virtual reality arena, 60-game arcade, golf/sports simulator and more! Plus, stay at one of the two new hotels and dine at a variety of restaurants. Learn more about the Apex Center of New England. 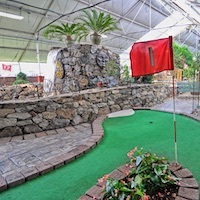 An attraction for all ages, Trombetta’s indoor mini golf is open daily, year round and is available for functions and parties. Customers can choose from a variety of Trombetta’s homemade ice cream flavors that change with the seasons. Plus, Trombetta’s garden center has the finest selection of hangers, shrubs, and vegetables from local growers. Learn more about Trombetta’s Farm. Ward Park hosts an array of outdoor activities from football and lacrosse fields, basketball and tennis courts, street hockey, a half pipe skating rink, a playground and a wading pool. 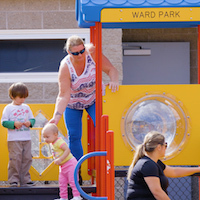 Learn more about Ward Park. Learn more about Cider Knoll Conservation Land. Learn more about Mount Ward Conservation Land. Learn more about Callahan State Park. Learn more about Felton Conservation Land. Learn more about Holt’s Grove Conservation Land. Marlborough’s World War II Memorial Beach is free to the public and open daily throughout the summer.